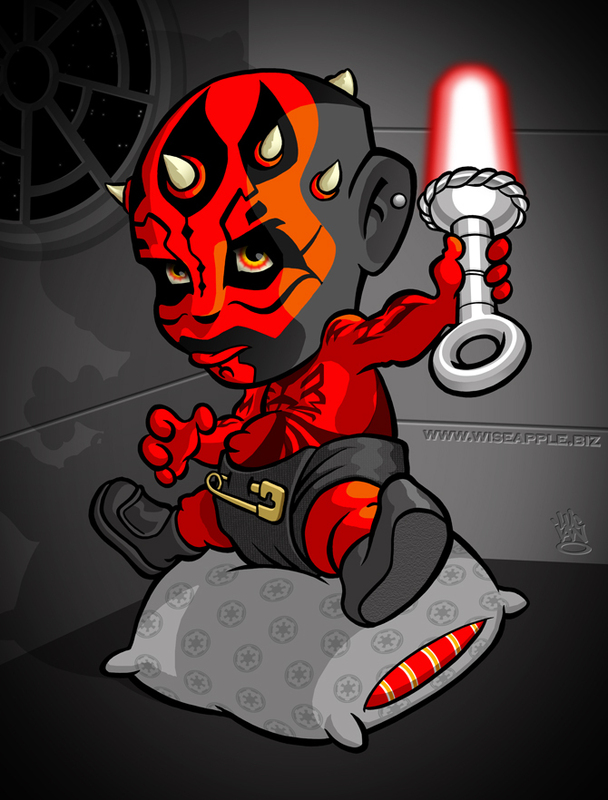 I did this for one of those Star Wars fan sites, I had a blast workin' on this lil bad @$$ . . even at an early age they new he was gonna be trouble!!! hee! Date Submitted August 20, 2008, 4:06:04 PM Time Taken Lots o' time! man if that was a real baby its parents would be freak'n out! Thanx so much glad ya all like! I work 3rd shift and was doing a little surfing and came across this picture. I have to say as a Star Wars fan it is hysterical!! Great imagination!!! Amazing effects and good detail. This is so cute, I love it! Wonderful job!